We have the opportunity to restore an Operational Base in Kent. Due to the nature of the work, and the fact that certain members of the public like to go and destroy these precious time capsules, the location is a closely guarded secret. 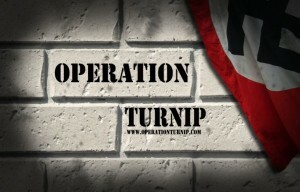 We are calling the project Operation Turnip as many of the patrols in Kent were named after vegetables. Phil Evans, our CIO for Kent, will manage the work on the ground and CART HQ will oversea the project and fund raise. A small team of experts will be called upon to advise on the restoration and we will use our own internal archive and researchers knowledge around the UK to fit out the OB as authentically as possible. We hope to then open the space at certain times of the year for guided tours, press calls and to allow re-enactors to stay inside. We suggest you bookmark this page to follow our work.